Note: Shukran Pooja, Sani Pooja and Rahu Kethu Poojas are Performed in the temple. According to the archaeological findings of Mohanjadaro and Harappa, there is evidence that about 15,000 years ago, a population worshiped Lord Shiva. A piece of pottery from the discoveries had a recorded image of a yogi in a meditative posture surrounded by living creatures such as human beings on both sides, birds in flight, animals and fish, all eagerly learning to gain wisdom spiritual. Methodologically, Lord Shiva in the form of Dakshinamoorthi is considered the first guru of Bhaaratham. Young ascetic, sitting under a pipal and looking south, he preached to his disciples in the language of “silence”. 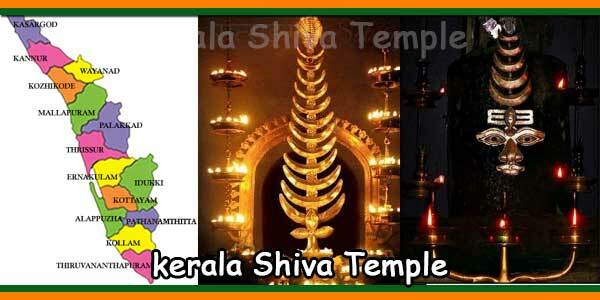 Later, Sree Shankaracharya and Sreenarayana Guru Devan developed the ancient belief “Shiva Guru Sankalpa” for “Dakshinamoorthi sankalpa”. In a verse from Sree Shankaracharya, you can see all the poems ending with ‘Nama idam Dakshinamoorthaye’ (we praise Lord Dakshinamoorthy). The same concept is beautifully explained in another book written by Sreenarayana Guru. Another myth of Lord Shiva refers to “Natarajan” (the king of dances). According to Hindu belief, Lord Shiva is the god of dance and the universe is his theater. It is said in ancient books that the art of dance was discovered by Lord Shiva. He taught it to his favorite disciple, Thandu (ascetic), and his wife, Parvathi Devi. Thandu’s dance style became popular under the name of ‘Thandavam’ and that of Parvathy Devi’s as Lasyanrithum ‘. The combination of Shiva’s Thandavam and Parvathy’s Lasyanrutham, known as ‘Ardhanareeswaran’, is very popular among the Indians. The statue of ‘Nataraja’ in the temple of Chithambaram is a perfect replica of Nataraja Sankalpa’. Covered with beautiful ornaments, this statue has four hands. You can see a snake holding its head up, a skeleton’s head, the goddess Ganga and a half-moon adorned with a garland of ‘Konna’ leaves on her head. In one of his right hands, he holds a dhamaru (rhythmic instrument) and shows “abhayamudra” with the other. One of the left hands has a fire on and the other hand is pointing down. His right leg is placed on an ugly creature. He is standing on a lotus from which the flames of fire reach his hands holding fire and dhamaru. This “prapanchanadanam” (cosmic dance) represents the creations and their movements in the universe. Each mudra and the objects in his hands represent creation, functioning and destruction. The ugly creature under his foot represents the ego. It is said that “moksham” (freedom of the soul) is only possible by removing the ego from your mind. Archaeologists have also discovered that Lord Shiva was worshiped in the form of “Shivalingam”. In this concept, the temple itself is a human body and the “Sreekovil” (the innermost part of the temple, where the idol is placed) is the heart. The Shivalingam installed in the sreekovil is a symbol of the divine nature of the soul. It is said that the place where the temple is currently located was a marshy and muddy area called “Nalliswara Madham Vayal”. A great yogi worshiped for years and several divine rituals took place at that time. 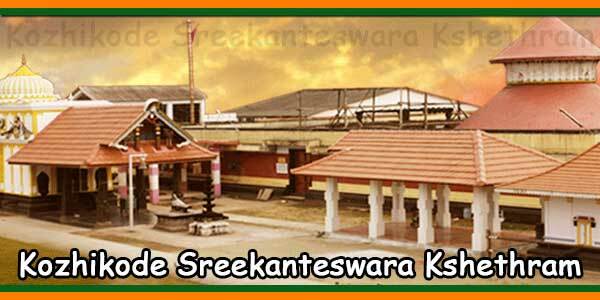 It is also believed that a temple called “Naalliswara Kshetram” existed centuries ago. According to the “Deva Prashnam” performed in the temple compound in 1977, it is written as follows: “Since ancient times, thousands of years ago, a great temple famous for its royal heritage divine rituals, it existed The temple was very prosperous and well supported by a cultured human race, famous ascetics, “yatheeswaras”, royal families and many political, economic and social figures., with its foresight, to choose this land to build the temple. The construction of the temple was supervised by the famous vasthu shilpi Sri. Kadathanattu Kunhiraman Ashari followed by Sri. Shankunni Nair Kutty Ashari and Sri. Mangalathu Krishnan Ashari. From now on, any construction, renovation or modification of the temple’s facilities is carried out according to the wise advice of the famous shilpi (sculptor) Sri. Olavaara T.V.Kunhiraman Melassery. 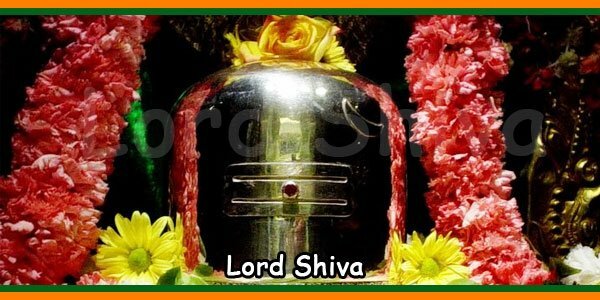 The main deity is Shivalingam (Lord Shiva). Shodashabhishekam: This abhishekam is offered for the prevention of diseases and to gain good health. Udayasthamana Pooja: This pooja is offered to fulfill any wish and for the general well-being. Paarvathy Parameswara Pooja: This pooja is performed to achieve a successful matrimony and to have a happy and prosperous married life. Umeshanu Pooja: This offering brings progeny, prosperity and happiness in the married life. Navagarha Pooja: This is to satisfy the Navagrahas (The nine planets) which control the destiny of our life. Pretha Verpaadu: This is performed to give freedom to the souls of our ancestors and release them from the earthly connections. (Moksha Prapthy). Shathru Samhara Devi Pooja: This pooja is conducted to eliminate the enemies or to get protection from them. Vella Nivedyam: This is one of the favourite offerings for Lord Shiva., which ensures general well-being of the devotee. Swayamvara Manthra Pushpanjali: This pooja is performed to seek a good life-partner and to achieve a successful matrimony. Mrithunjaya Maha Manthra Pushpanjali: This is offered to Lord Parameswara for his blessings for a long, healthy life and an easy death without any suffering.